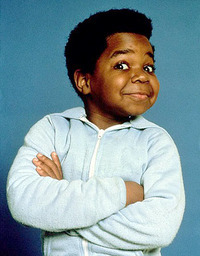 "Diff'rent Strokes" star Gary Coleman died today, May 28th, Friday, at the Utah Valley Regional Medical Center in Provo, Utah, where he had been in a coma after suffering a brain hemorrhage. He was 42. According to People Online, "Family members and close friends were at his side when life support was terminated," says a hospital statement. "Family members express their appreciation and gratitude for the support and prayers that have been expressed for Gary and for them.The actor suffered an intracranial hemorrhage at his Utah home on Wednesday night. On Thursday, he was 'conscious and lucid," the statement says, "but by early afternoon that same day, Mr. Coleman was slipping in and out of consciousness and his condition worsened."